The morning classes will be Mysore style under the guidance of Mark and Laruga. If required we will divide the group into those who already have an established self-practice, and beginners/and or those who are require assistance to learn the sequence. The afternoon classes will include a discussion on the essentials of yoga philosophy as well as valuable time for questions and answers with Mark and Laruga about the many layered aspects of the practice. This will be followed by various workshop themes which both Mark and Laruga will teach. Examples of these workshops are: Core techniques for developing the Primary Series, vinyasa/strength/arm balances, introduction to the second series, backbending and everyday essential hip openers, exploration of yoga breathing and developing a sitting meditation practice. These workshops will be multi-level and no matter what stage of the practice you are at they will be rewarding and insightful. Mark Robberds is one of the few Certified Ashtanga yoga teachers worldwide , authorized by KPJAYI and has spent the last 15 years traveling regularly to India to practice with the late, legendary Guru Sri. K. Pattabhi Jois, and his grandson R. Sharath, of Mysore. He has been teaching workshops and retreats internationally since 2005. Mark wishes to share the teachings of yoga in a way that inspires people to develop a passion and love for the practice. Laruga Glaser is dedicated to teaching the method of Ashtanga yoga to its fullest capacity, cultivating transparency to the tradition, and the deeply rich lineage the practice originates, otherwise known as parampara. With nearly 18 years of practical Ashtanga Yoga experience, Laruga is an advanced level practitioner and serious student of yoga, as well as, a Level 2 Authorized Teacher from KPJAYI of Mysore, India. Laruga teaches as an act of deep sharing and love for what yoga develops in each individual, challenging her students to step into the unknown and experience their undiscovered potential. Purple Valley, is a peaceful haven situated in Goa, a state on India’s west coast which is lined by white sandy beaches and the azure Arabian Sea. 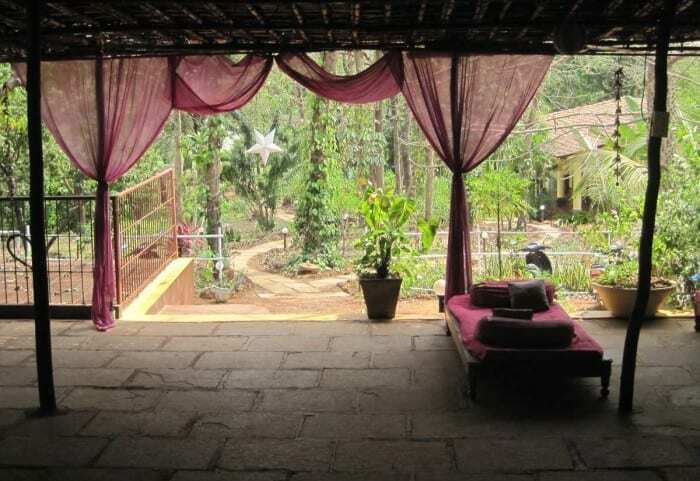 India is the home of yoga, and Purple Valley hosts some of the world’s leading Ashtanga yoga courses and teachers in Goa’s most comfortable yoga accommodation.